Here I will discuss how I recorded the WCDMA signals from the nearby tower in my institute. Equipments which I am having with me are USRP-2, SBX daughter board(both from Ettus research), Spectran HF6065 hand-held spectrum analyser. 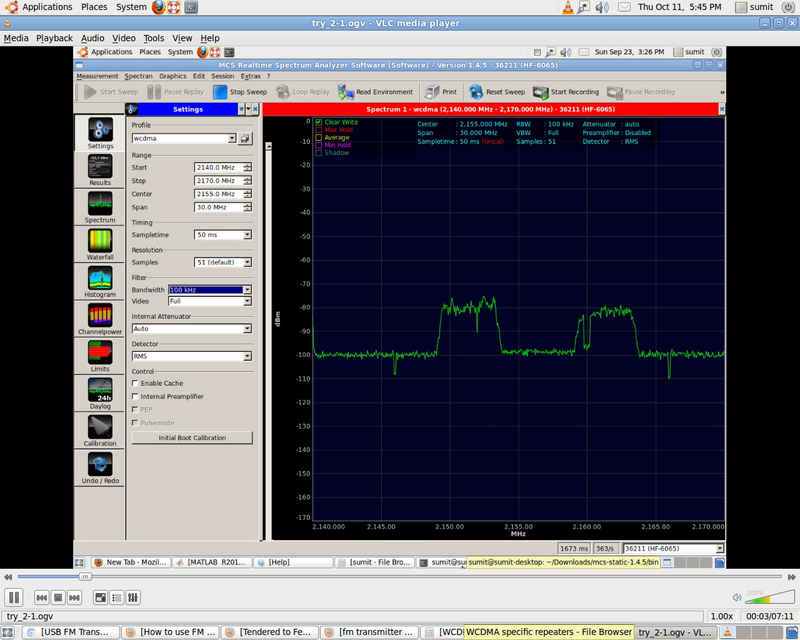 Spectran spectrum analyser came with a wide band antenna 100MHz -6GHz. For collecting the WCDMA data I connected USRP-2 with my linux based system. There is a good script in GNURADIO uhd_rx_cfile , it can collect the signals from air very simply. So I collected 2M samples at the sampling rate of 10MSPS.